The time has come for me to edit my directory of Must-Follow Interior Design Pinners On Pinterest! It’s been a few years since I updated my curated list and, well, the Pinterest climate has definitely changed. Several years ago, following people on Pinterest meant you were in for a peek at exactly what those individuals were interested in and what they were pinning. You could really see the activity of people you know. It was fun for me to follow other designers and get a look at what they were working on and be able to repin some of their well-curated pins too. After checking all these profiles of people on my list who were once so active and prolific on Pinterest, saving all kinds of great content for an interior design lover like me, I realized some had dropped off Pinterest and weren’t really pinning anymore. Not only that, but some were getting into specialty niches or mostly pinning other interests, like fashion, beauty, food or even just product directly from their online shop. Life changes after all, so it was time to clean house and fine tune my list to include some replacements, so that we can all have a beautifully curated, predominantly interior design-content-related feed once again. And NOW, you no longer have a reason to say this…..
I’m here to tell you, YOU CAN. See these options at the top of your profile now, when you log on to Pinterest? That changes your feed from the “Home” where Pinterest is showing you pins that they think you will like, to a feed that is full of the pins of the people you follow. It’s just like the old days on Pinterest! Well, almost. Now there are ads, of course, but at least you can see what the people you follow are pinning again, and in real time too! So, because of that, and because we’re all interior design junkies here, I’m going to share my new, updated, curated list of Pinners for you to follow. Now, I’ve tightened this baby up for you. I’ve reduced the number of pinners overall, because I might want to add to this list again down the road, like I did before. I’ve also only recently started using my “Following tab”, so I’m still trying to get a handle on whose pins I’m seeing and what they are pinning. Here’s what I like so far. These are people that don’t pin many text overlay type pins. I know, text overlay is just marketing and I sometimes create those pins too, but I fell in love with Pinterest because it was a visual feast of all the things I liked, coming at me non-stop. Also, in interior design, sometimes we just want to curate images. We’re not necessarily looking for information or how-to tutorials on everything all the time, like in other niches. Not only that, but I wanted prolific pinners. People that pin and save images from websites with strong content regularly and were using the platform for design work or design inspiration. I know all about tribes and pods (I’m in a few also) but really, I want genuine inspirational design pinners on this list. I’m fine with people who pin from their tribes, and I follow many, but I love to see a variety of original sources from a pinner, with strong design content. One more consideration, I don’t want people on the list that are just pinning their own content or are trying to sell, sell, sell, whether it is their services, their affiliate linked products, or whatever. I selected these pinners based on more of a curation kind of focus. I wanted people that pinned from other strong, design-focused sites too, that were more interested in accumulating ideas and inspiration and not so much just selling themselves all the time. If I happened to click on their list of recent pins on their profile and 75% of it came from their own blog or Instagram account, then they would not be considered. 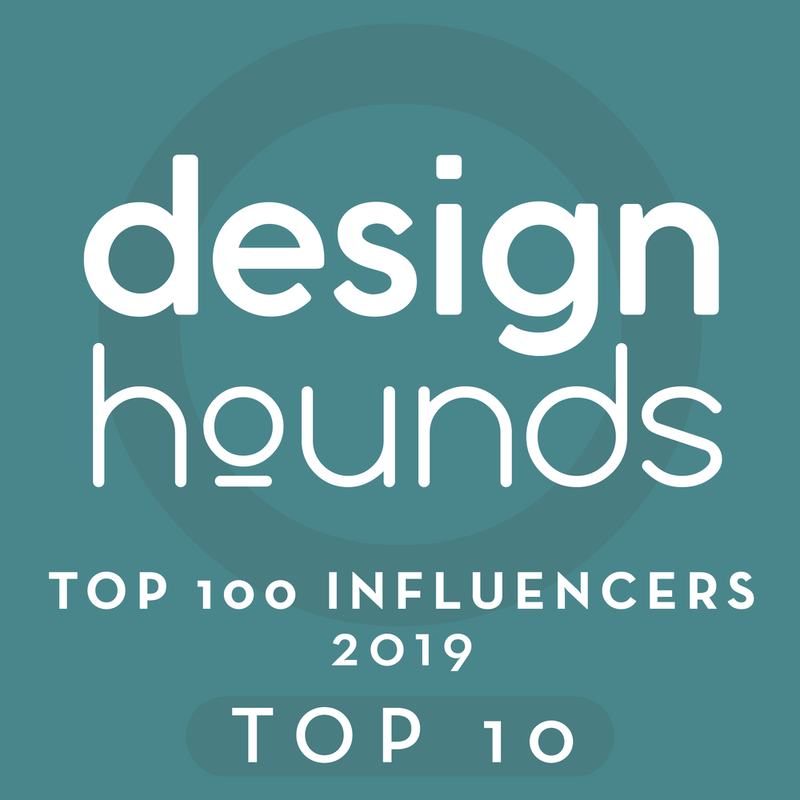 So, take a look at it, see if you’re on the list ;-), and then check out the profiles of all these wonderful interior design pinners. My FREE, hand-curated directory of Pinterest's Must-Follow Interior Design Pinners. A subscription to my interior design blog: DESIGNED w/ Carla Aston. So many people have used my directory to discover more interior design tips, tricks, & trends than they have ever discovered before. Enter your email address to receive INSTANT ACCESS! 1.Your privacy matters! That's why your address will NEVER be shared with any 3rd party entities. 2. If you are already subscribed to my blog, you will not be signed up for a second subscription unless you are using a different email address!